V1. Having called his twelve disciples to him, he gave them authority to drive out impure spirits and to heal every disease and sickness. V4. Simon the Zealot and Judas Iscariot, who betrayed him. V5. These twelve Jesus sent out with the following instructions: “Do not go among the Gentiles or enter any town of the Samaritans. V6. Go rather to the lost sheep of Israel. V7. As you go, proclaim this message: ‘The kingdom of heaven has come near. V8. Heal the sick, raise the dead, cleanse those who have leprosy,[a] drive out demons. Freely you have received; freely give. V9. “Do not get any gold or silver or copper to take with you in your belts. 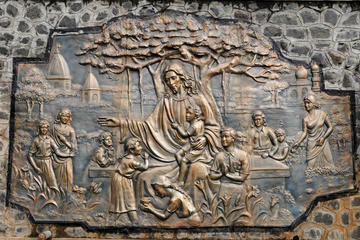 Tradition says that St Thomas came to India in 74 AD to convey the Jesus’ message. 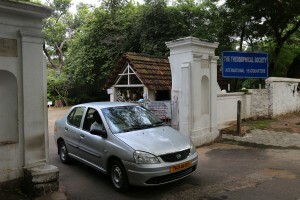 At the top of Mont Saint Thomas, the viewpoint offers a wide panorama of the city of Chennai. The small church “Our Lady of Hope” (16th century, but with no architectural interest) rises from the place where the apostle supposely died. 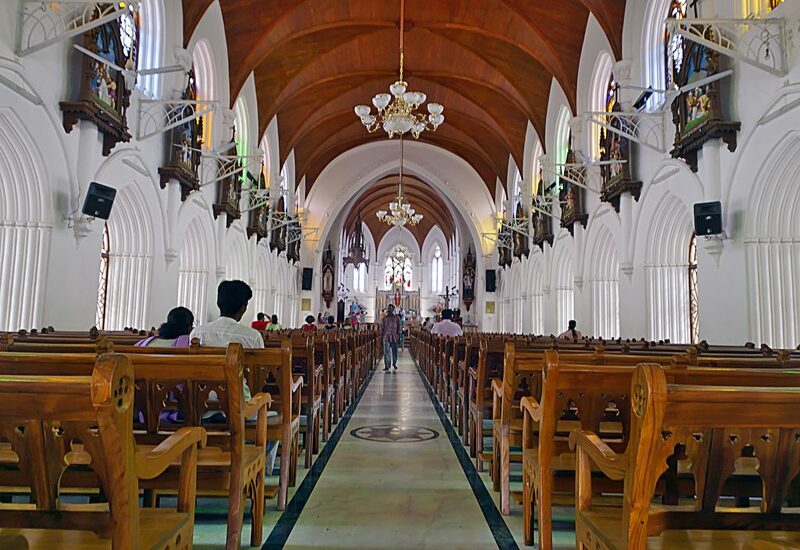 This entry was posted in Areas of interest in India and tagged apostle, Chennai, Church, Jesus, Little Mount, miraculous source, neo-gothic style, Our Lady of Hope, relics, San Thome Cathedral, St Thomas on 30 September 2017 by Jean-Claude Garnier. A journey to India is at the same time an inner journey, intimate and dazzling and an outside journey during which each moment may offer a discovery, a deep encounter. For photographers, India is a real paradise, one of the best spots for those who like colorful pictures full of emotion. To take photos in certain places you will have to pay a tax for your camera or video camera (more expensive) but then you will be free to catch a beautiful ray of light, to make the best of each magnificent place. India is an unbelievably visual country, where anything can become a subject for a photo. Often people spontaneously ask to be photographed, they nearly always say yes, if asked. This entry was posted in Practical information for India and tagged Ashtanga Yoga, camera, Chennai, India, Madras, Mahābalipuram, Mamallapuram, paradise, photographers, photos, Pondichérie, Pondicherry, South India, Travel, video camera, Workshop, Yoga on 27 December 2014 by Jean-Claude Garnier. No vaccine is mandatory for the Indian subcontinent (this of course, does not exempt the traveller from keeping his vaccines up to date). If you have an on-going treatment, don’t forget your medication. You can take a basic first aid kit with you, containing bandages, plaster, analgesics, anti-diarrheal, laxatives, medicines for treating colds and soar throats, vitamin C. Be careful of the sun and the heat, that cause insolation and dehydration. There are many chemists in India where you can find what is necessary. If you intend to travel in India, malaria being in constant evolution, get information on it’s prophylaxis depending on the regions you want to visit. Individual protection needs chemical and concrete means. From 5.45 pm onwards, wear long clothes and protect your feet and ankles. It is recommended to impregnate your clothes with a repulsive spray. Some repulses can be put directly on the skin. Be sure to put them on regularly (every 4 or 5 hours depending on the product). For new-born babies and babies under three months, find a mosquito net specially made for cradles, if possible impregnated with an anti-mosquito repulsive, it is the only method that is efficient. On the spot, you will find anti-mosquito products in the form of sprays or creams, as well as sun creams. In Mahabalipuram, there are several Doctors who practice occidental medicine and, since last year, there is also an Ayurveda Doctor. There is also a small hospital “Suradeep Hospital” situated 15 Thirukumam Street, and 20 km away on the road to Chennai, there is a big ultra-modern hospital (to be preferred). It is caught usually due to the water or food containing relatively common bacteria. A little advice and some good medicine in a travel pharmacy will be very useful. Prevention remains the best method. The first reaction is to drink clean, lightly salted bottle water, sealed at the neck to avoid dehydration. In all cases, if the symptoms last or get worse, don’t forget to tell your Doctor that you were in Asia. 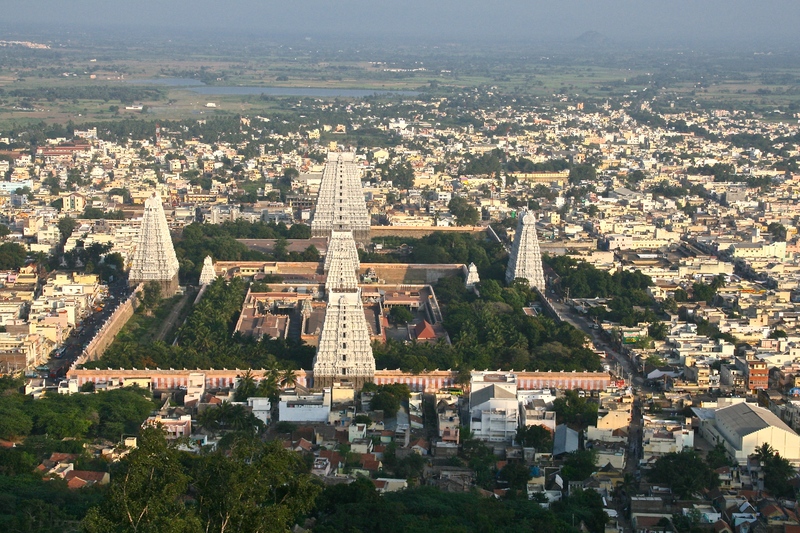 This entry was posted in Practical information for India and tagged Āyurveda, bites, Chennai, chikungunya, dehydration, diarrhea, Doctor, drugs, health, heat, India, Information, insolation, Madras, Mahābalipuram, malaria, Mamallapuram, mosquitoes, Pondicherry, sun, turista, vaccines, Yoga, yoguin on 27 December 2014 by Jean-Claude Garnier. 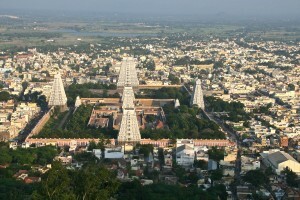 There are many flights to Chennai (Madras) from the major European airports. 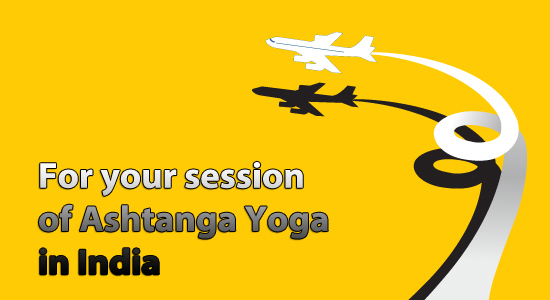 India being one of the most visited countries in the world … book your flight early, and enjoy the many benefits that the practice of Ashtanga Yoga will bring you, let yourself be dazzled by the fabulous temples of Tamil Nadu, Mahābalipuram, Kanchipuram, Tiruvannāmalai, Pondicherry, Chidambaram, Darasuram, Tanjore, as by the profusion of details, the vibrant colours in the sanctuaries, where the stone contrasts with the radiance of the shimmering saris of Indian women. Flights : Whether it is a business trip or a holiday, many aviation companies propose an Internet registration service that allows you to reduce your waiting time at the counters of the airport. 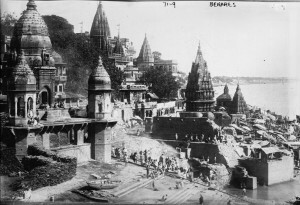 Do not forget to register your « Miles » for a next trip to India. In Brussels, we have had the pleasure of working for many years with « Welcome Travel » agency. They are very efficient and of good advice. Depending on the airline company, your luggage should not exceed 20kg to 30kg. You can buy or pre-book extra luggage weight before your departure (through the travel agency). Extra weight usually cost around 50$ per kilo. Indian companies allow up to 15kg. Please note they are very strict on the weight limitations. For any extra kilo they usually charge 5$. It is better to lock your main luggage. Your cabin luggage should not exceed 7 kg and 56 cm x 36 cm x 23 cm. Security checks are unfortunately necessary to travel by air, some passengers find them more annoying than anything else. 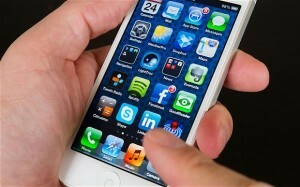 Remove all metal objects such as keys, mobile phones (charged battery), coins, wallet, belt if the loop is metal, etc. and place them in one of the available plastic bins. Remove your coat, jacket, Sleeveless Jacket and place them, as well as your hand baggage, in one of the plastic bins. Remove all liquids and gels from your hand luggage and place them in a separate bin. Don’t forget that you are allowed to carry, only liquid containers and gels up to 100 ml maximum, in your hand baggage, sprays are prohibited. Remove your laptop and tablet from your bag so that they can be analysed separately (battery charged). At night, by Taxi : the price should be around 1400 Roupies. The transfer takes about 1h20 at night. During daytime: bus n°108 B. Unfortunately this bus is not very frequent. Credit cards (American Express, Visa, Eurocard,..) are only accepted in large cities and big hotels. You can exchange currencies at the airport. Be careful, the Exchange service of « Thomas Cook » has a lower exchange rate than in Mahābalipuram. You have to show your passport for the transaction, and you must keep the « encashment certificate » which will allow you to exchange your leftover rupees when you leave the country. Bankcards can be used in big hotels and shops in urban centres. Traveller’s cheques in Euros can easily be changed in banks. You can only take cash out of your account in large cities either from the banks (takes a long time) or from automatic withdrawal counters marked “ATM”. There are now two “ATM” counters in Mahābalipuram. When you leave the big cities or centres, please make sure you have enough rupees or euros and preferably in small bills as it can be difficult to find change. Never drink tap water ! The water is not always potable. 220 Volt is common in India. It is nevertheless advisable to always check the voltage before connecting a device. It can be very useful to bring a flashlight/torch, in case of a blackout (this is frequent) and it is useful for visiting caves and temples. We have prepared a reading list for travel guides to India, novels, and history books. English is widely spoken in the cities of India. India has hundreds of dialects and 18 officially recognized languages. The difference between the Indo-European spoken in the north and the Dravidian languages used in South India provides that English is an essential means of communication between the people of the north and south. Most of the foreign providers offer mobile Internet access (roaming) in India, but the rates are high. Remember that apart from the beauty and wealth of this country, India is and will remain India. It is advisable to look on the bright side to enjoy your stay at the fullest. 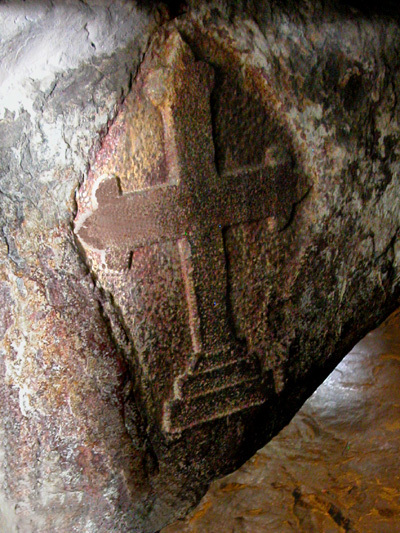 This entry was posted in Practical information for India and tagged Airline companies, airport, Ashtanga Yoga, bibliography, cellular phone, change, Chennai, Chidambaram, Darasuram, electricity, exchange, important advice, jetlag, Kanchipuram, language, luggage, Madras, Mahābalipuram, Mamallapuram, money, Pondicherry, sanctuaries, Tamil Nadu, Tanjore, Tiruvannāmalai, transfer, travel agency, water, Welcome Travel, “la maison des Indes” on 26 December 2014 by Jean-Claude Garnier. The most important world headquarters of Theosophical Society worldwide was designed to facilitate and encourage Comparative Religious Studies, as well as Philosophy and Science and rational thinking. The Society is located on the magnificent wild banks of the river Adyar. Madame Blavatsky and Colonel Olcott founded the Society in the United States; in 1882 it moved to Adyar. Apart from the remains of the different faiths and beliefs and the peaceful Commemoration Garden, there is a 95-year old Library with an excellent collection of rare oriental manuscripts written on palm leaves and parchment paper. 10hOO – 12h0014h00 – 17h00 Sunday 2491 2904 / 2491 8431. This entry was posted in Areas of interest in India and tagged Adyar, Ashtanga Yoga, Blavatsky, Chennai, Colonel, Desikachar, Krishnamacharya, library, Madame, Madras, Mahābalipuram, Olcott, oriental, rare manuscripts, river, Society, Theosophical, Yoga on 25 December 2014 by Jean-Claude Garnier. Sri K. Pattabhi Jois, was born on July 26, 1915, a day of the full moon, in a small village near Somnathpur in Karnataka in South India. He died on May 18, 2009, at the age of 94. His father, Krishna Pattabhi Jois, was a well-known astrologer in the service of the Maharajah of Mysore. 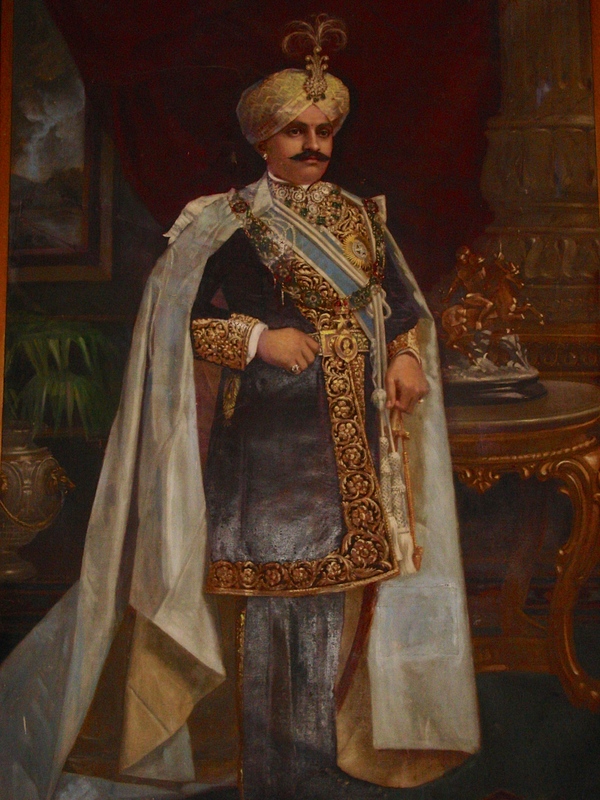 After his primary and secondary schooling in 1930 he began studying Sanskrit and Vedic philosophy at the Maharaja Sanskrit College in Mysore. 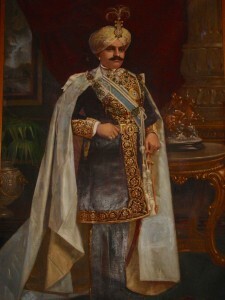 In 1937, he graduated, he immediately went into teaching Sanskrit at the University of Mysore and continued until 1973. He spent another three years teaching at the Ayur Vedic College, and he then retired. 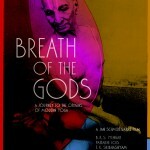 He began studying Yoga in 1927, when he was 12 years old. He then lived with his parents in a small village near Hassan “Kowshek” (Karnataka). 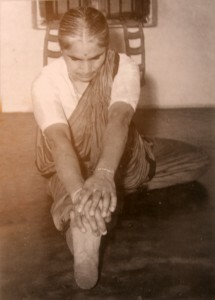 During the first three years, he undertook a journey back and forth every day to visit his Guru Sri T. Krishnamacharya, who lived in Mysore at that time (a distance of some 35 km). He received the teaching of his master for 25 years (from 1927 to 1952). 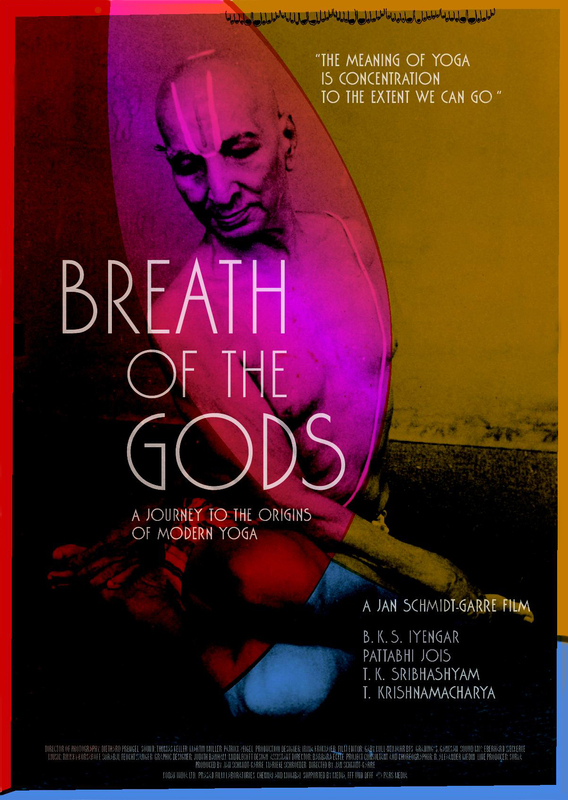 Krishnamacharya asked him to transmit a method of original Yoga, called Yoga Korunta (known today as Ashtanga Yoga). 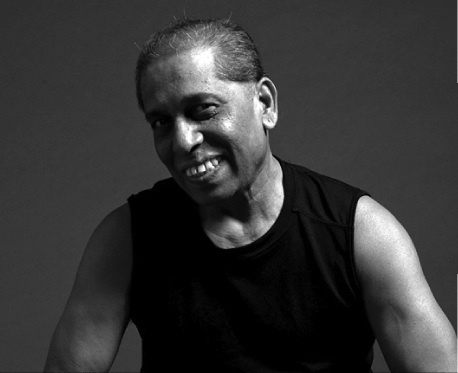 Sri K. Pattabhi Jois taught Yoga in India from 1937, then later in the U.S.A and Europe. He received students from around the world to study this wonderful method of Yoga. He was the founder-director of the Ashtanga Yoga Research Institute in Mysore in 1942. In 1946, he founded the Institute for Research on Ashtanga Yoga, where he experimented and developed the healing powers of Yoga. He was appointed Honorary Professor of Yoga at the Indian Government Medical College in Mysore, from 1976 to 1978. Shri K. Pattabhi Jois was married with the delicious Savitramma, known as her diminutive Amma). She left us far too early in December 1997. She always wore a smile, offered comfort or had a blessing on her lips and she prepared an absolutely delicious coffee. What is less well known is that she had also studied and practiced Yoga and sacred Shri T. Krishnamacharya texts. This is where she met Guruji. She was 14 when she was married, a marriage of love which was very rare at the time. They had three children, two boys and a girl (their eldest son Ramesh died in an accident on the Kaveri dam). Manju, their son, teaches Yoga at Emanitas in California – U.S.A. Saraswati, their daughter still lives in Mysore, she is married to a professor and also teaches yoga. 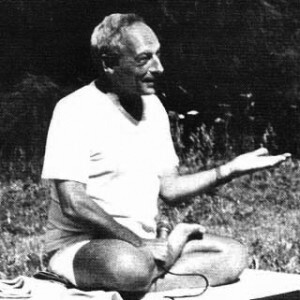 In 1964, André Van Lysbeth, the first European, came to study the Korunta Yoga at the Ashtanga Yoga Research Institute in Mysore with Guruji. André spoke about him and made him known through an article he published in the early review of the time “YOGA”, which he edited. Around 1972, Sri Pattabhi Jois received the first Americans after the “meeting” with Manju at the Gitananda ashram near Pondicherry (160 km south of Madras). The practice of Ashtanga Yoga spread in America from California, and extended later to Hawaii. In 1975, Guruji and Manju on their first tour spread the word about the practice of yoga. Since then, the practice of Ashtanga Yoga has spread worldwide. Guruji passed on to the other side of existence on 18 May 2009 at 2:30pm in the afternoon (local Mysore time). Guruji had taught continuously for 63 years this wonderful method that he had learned from his Guru Sri T. Krishnamacharya in 1927. 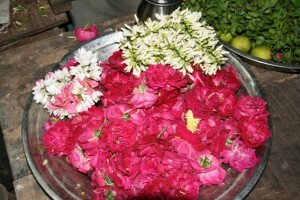 Om Loka Samasta Sukhino Bhavantu Om Shanti, Shanti, Shanti Om (Om, may all beings achieve peace and harmony, Om Shanti). Today, his grandson Sharath Rangaswamy, the son of Sarasvati, is Director of the Institute. He was born in 1971. He is transmitting the Ashtanga Yoga he learned from his grandfather. Sharath is married to Shruthi and he is the happy father of two children, a charming little girl called Shradda (Dedication), and a son Sambhav (connected to the being or Manifestation of being). This entry was posted in The Yoga and tagged Amma, Ashram, Ashtanga Yoga Research Institute, astrologue, Chennai, disciple, Gitananda, guru, guruji, Inde, Karnataka, Krishnamacharya, Madras, Maharadjah, meeting, Mysore, Om Loka Samasta Sukhino Bhavantu, Om Shanti, Pondichéry, Sarasvati, Savitramma Jois, Sharath Rangaswamy, Somnâthpur, Sri K. Pattabhi Jois, Yoga Korunta, » Manju on 24 December 2014 by Jean-Claude Garnier.